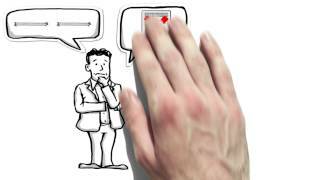 Whiteboard videos simplify topics for quick and easy consumption. Learn the basics, and then dive deeper into areas you'll use at a later time. Android and iOS apps. Enter time and expenses on the road. Sync with the cloud. View client and project status anytime. The Android and iOS apps really make tracking time more pleasant. You're not tied to a terminal, and can track hours even when you are in the office. Employees only see the projects and tasks they are assigned to. That keeps timesheets short and relevant. Assign tasks to users or groups. Employees can also be assigned a percentage of hours on a given task. 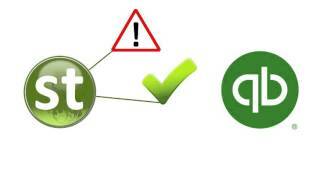 Tasks can also have warnings to indicate when they are nearly complete. Find employees who are available to work on your project. Search by employee or skill. Search a single project, a folder of projects, or a project portfolio. A bar charts shows when employees are over-booked, under-booked, or correctly scheduled. Chances are, your projects all have different billing rates. Consulting firms sell services to a wide range of clients, and offer varying talents and technologies. Each project has a life of it's own, and usually has client billing rates connected to the services being offered. 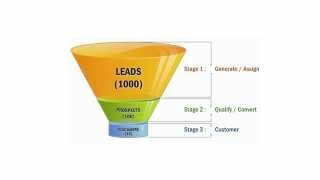 Just like a sales funnel, this is a project revenue funnel. You set the expected revenue, and then the win percentage. Mark the project as submitted, won, or lost. A bar charts displays future revenue based on those sales funnel settings. If future sales begin to sag, call out the sales team. Attention HR Managers: Employees earn new vacation hours every week, month, or year. But how? What software does that. This one! Set the bank of hours for each employee. Set their earn period and hours. And watch the system go. Employee PTO time off is automatically accrued. Approve a vacation request, and hours are subtracted. Too many projects? 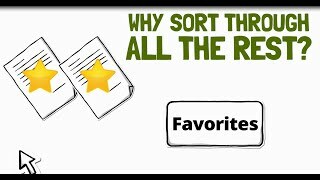 Scrolling to find the one you're working on? Accidentally entering time into the wrong project? Don't despair, there is a solution. It's called Timesheet Favorites. Pick the projects you are working on now. And all the others go away. Your timesheet is short and easy to manage. Get in, get out, and go back to work. 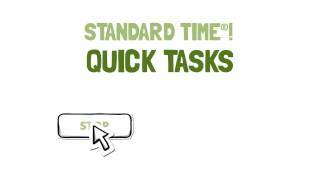 Quick Tasks make it easy to start and stop a timer. You click once to start. And click again to stop. Your time is automatically entered into the timesheet, and you're off to work on another task. In fact, those same Quick Tasks show up on your Android and iOS phone. Tap to start, tap to stop. Time is synchronized with the cloud or desktop. Use this solution to finish tasks quicker... keep the project moving forward... and keep things tight. Are employees camping out on tasks they like? Not moving forward to new tasks? Slowing the project down? Task warnings will tighten things up. Employees will be nudged to finish up and get onto the next task. Projects will finish quicker. You'll be more efficient. Did you know there's a dashboard view for projects and tasks? It shows projects, with tasks under them. Subprojects are also displayed. But here's the neat thing: task values like duration and actual work are totaled up at the project level. Those are called rollups. 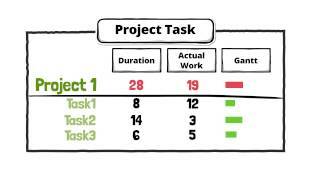 Look at each task column, then look up at the subproject and project level. You'll see values totaled up there. Did you think this was a quickie time tracker? Or a little timesheet with a few dropdown lists? Sure it is... but consider these five areas. This is more than a quickie app. You will like this so much, you'll tell everyone. You'll be the hero in your office. 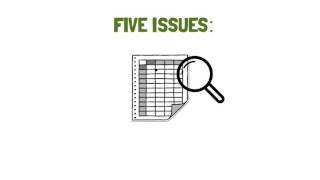 These five timesheet features will solve every problem you've faced. It's plug and play. And the nicest timesheet you've seen in a while. 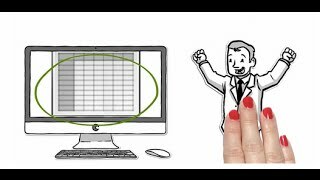 Does your spreadsheet work pretty good as a timesheet? Or does it leak cash without you even knowing it? Are employees accidentally making mistakes that you never catch? And costing you a percentage of billable income? Yep, well... that's what spreadsheets do. You get a free spreadsheet timesheet template, and think it's going to work. But it leaks cash. Uggh. 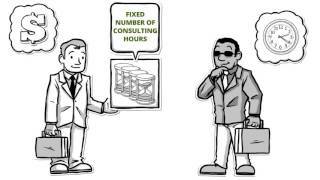 Consultant utilization is the percentage of time a person is benefiting the company, usually by billing clients. Sure, an employee could be utilized by doing in-house work, or other secondary projects. But billable hours is the best form of utilization. You can find the utilization and effective billing rate for a specified date range. QB and ST make a nice pair. Log your time and expenses in ST. Send it to QB. And you have a complete package that does most of what you need for your business. 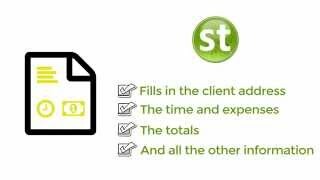 All your client billing is taken care of. All your project tracking is done. 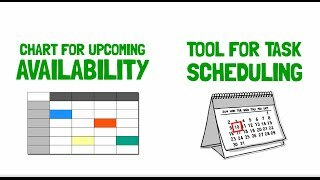 PTO tracking, vacation tracking, accruals, revenue predictions, and profitability. All take care of by these two apps. 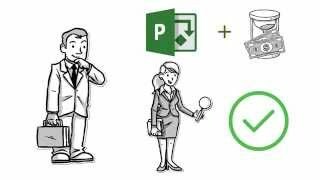 Bring in your MPP file, and see your tasks in the timesheet. Make sure to assign tasks to resources. Each resource is mapped to an ST username. Only the tasks assigned to your username are displayed in your timesheet. Admins will see all the MPP tasks in the Project Task view, alongside all the other projects. All your projects will also show up on the Web Edition and smartphones. Scan a barcode label during manufacturing, and get all this information: time per piece, time per employee, time per project. If you use categories, you'll see each stage of manufacturing or the kind of work. Run reports and share them with the project team. Now try to reduce your manufacturing time by slivers. Each sliver you shave off is more efficiency and revenue. Here's a good way for consultancies to support their clients: Blocks of support time. You sell blocks of time where you are available for certain types of support work. It may be networks or servers, manufacturing machinery, computers, project management consulting, or any other consultation time you sell. Find out how to make this easier to manage, and easier to sell. 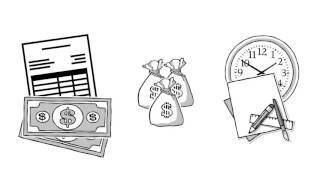 If you're a freelancer, or a larger consulting firm, you are billing customers for time and expenses. You send invoices on a regular basis. But how easy is it to make changes to your invoice templates? 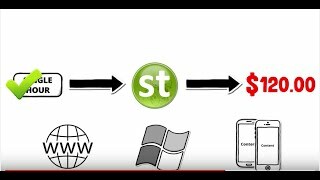 ST uses RTF documents you can edit with MS Word. That's pretty easy. 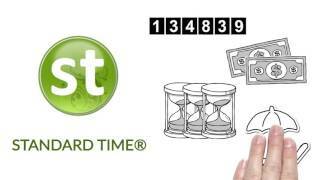 Start here when you need a timesheet that works for government contracts. 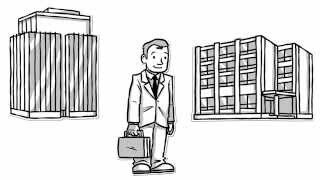 DCAA regulates the consulting industry for government. There are compliance issues to consider. But do you really want to keep up with all that. 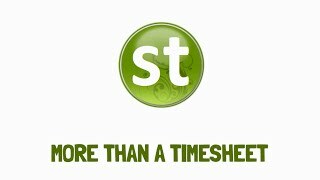 Why license a timesheet that complies. Here are some things to consider. 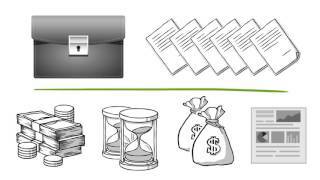 Get an introduction to the concept of project portfolio management. That is the concept of putting multiple projects into collections called portfolios. 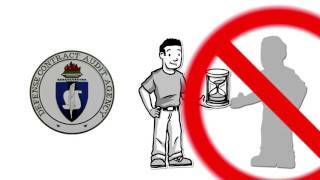 Each collection of projects can be reported or compared with another collection. Find out which portfolio is most important to you, which one you make the most revenue from. 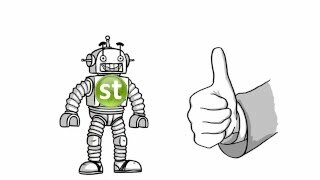 Your client can log into ST for their project status. They can also install the ProjectBot Android app and see the same status. They will see a list of projects. Click on a project to reveal all the time and expense records. 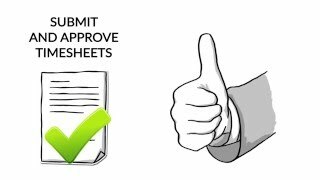 Clients can even approve each record, or reject them. Did you know you could get email notifications when your timesheet contains too few hours? Or you didn't submit your timesheet last week? You can! And email notifications for many other reasons. How about when you are assigned to a new project? Or when there are upcoming tasks? Give it a try. 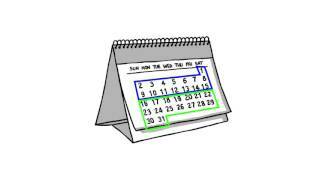 Do you wish you could view all the days in your payroll pay periods? In other words, see more than just a week's worth of hours? There's a simple timesheet choice to switch between weeks and pay periods. When you do, you'll see the pay period dates, total expect hours for the period, and your actual hours. Consultants and road warriors track mileage for tax purposes. It's pretty easy with an app that also remembers your vehicles. Just choose the vehicle you're driving, and up pops the last odometer reading. Enter the ending odo reading, and your distance is automatically computed. Plus, the taxable amount is added as an expense. 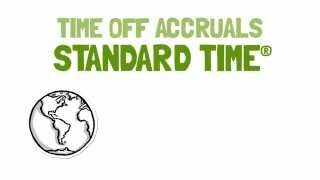 Including the process of submitting and approving timesheets can improve the quality of timesheet hours. You essentially have another interested party validating those hours. That helps ensure they are correct. If you follow this (optional) procedure, employees can also get email notifications telling them when they have forgotten to submit their timesheets.